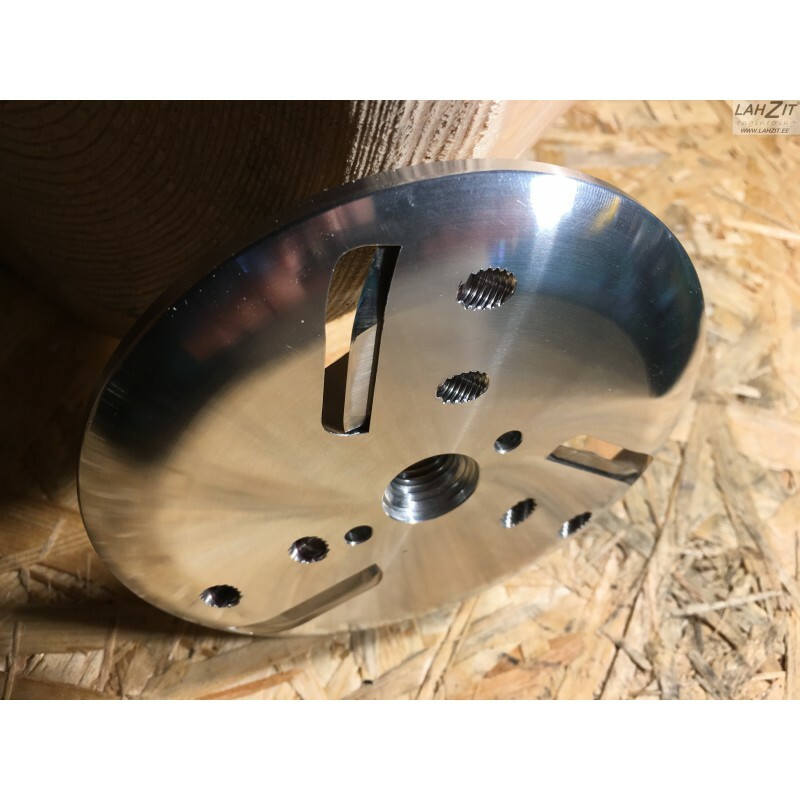 Log peeler tool D125 PLR for 5'' (125 mm) angle grinder with spingle thread M14. 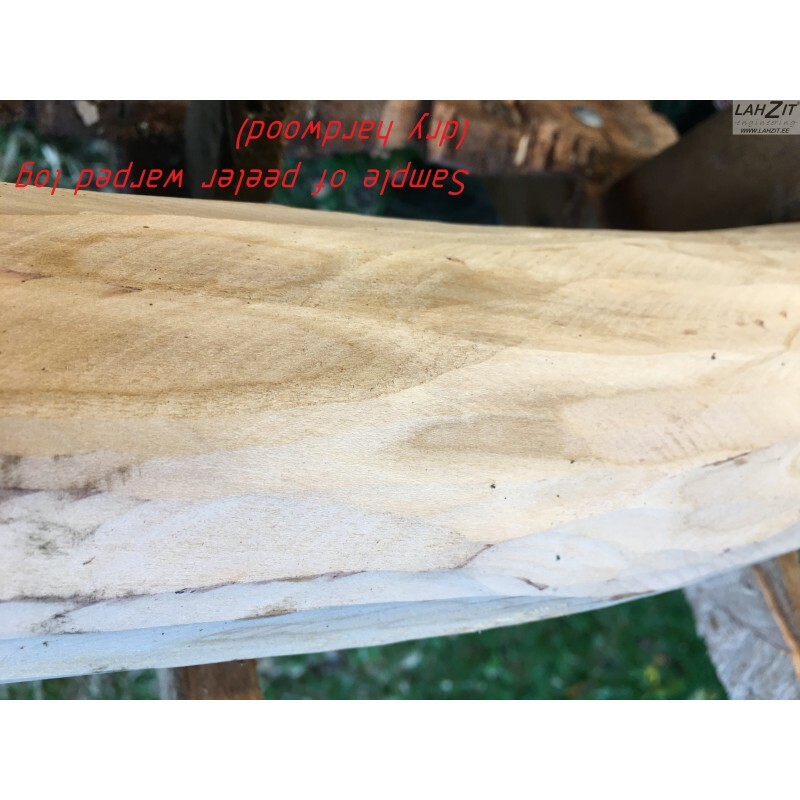 This type of peeling tool is designed to peel smaller logs like stair handrails etc. 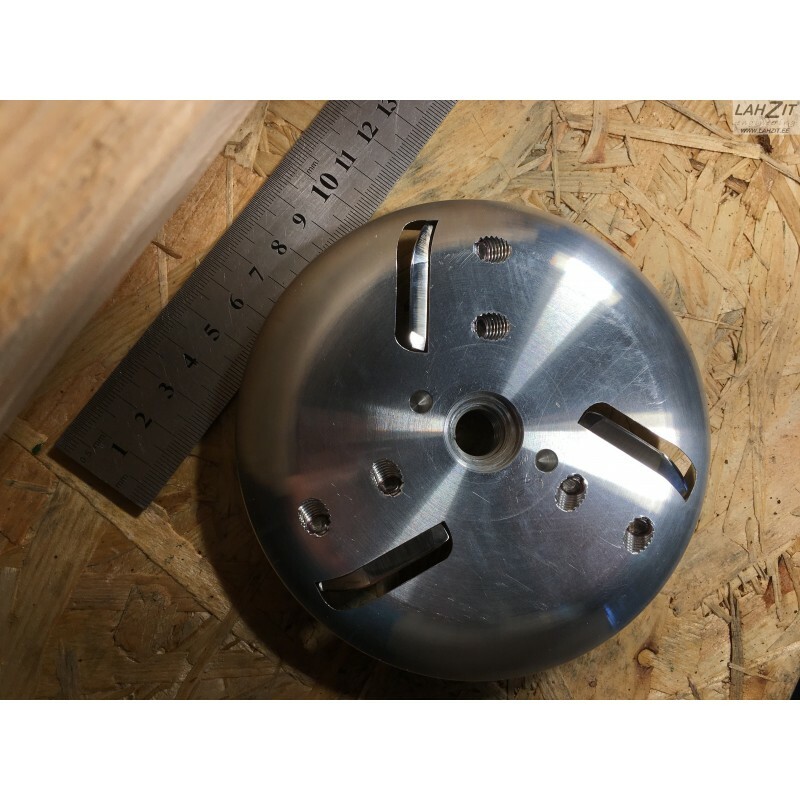 and also for garving and shaping works. Tool outer side and also cutting blade outer corner is rounded - it allows to peel also warped (curved) logs and also unedged timber. 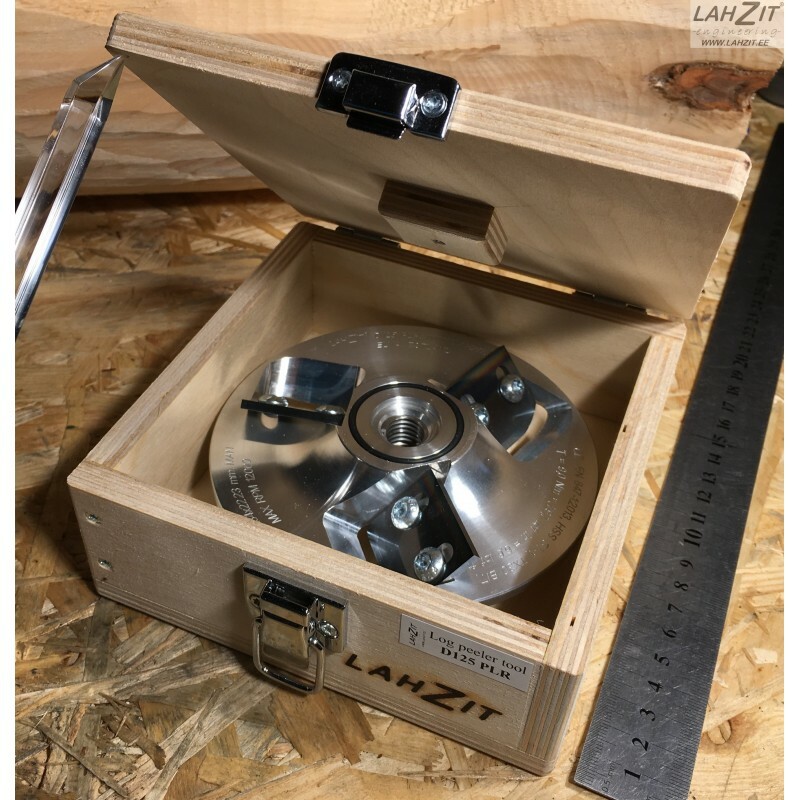 Tool weight only 0.4 kg (0.882 lbs)! 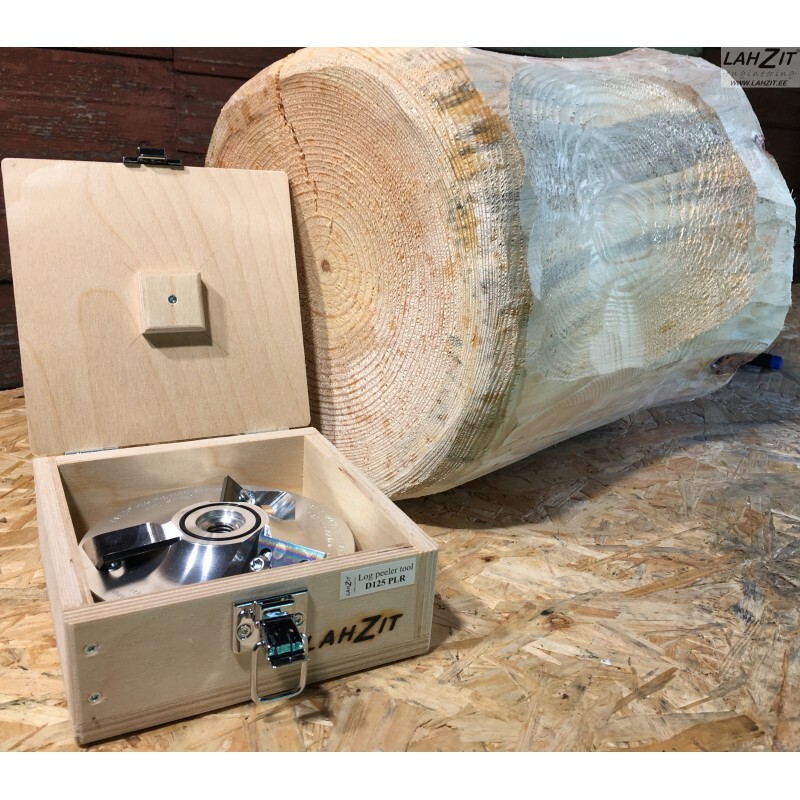 Professional power tool gives smooth log surface. Advanced cutting angle minimise chip disposal without hitting the operator. 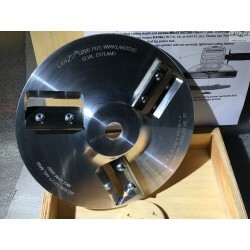 This tool does not fit to angle grinders with UNC 5/8''-11 spindle thread (for example angle grinders in U.S.A.)! 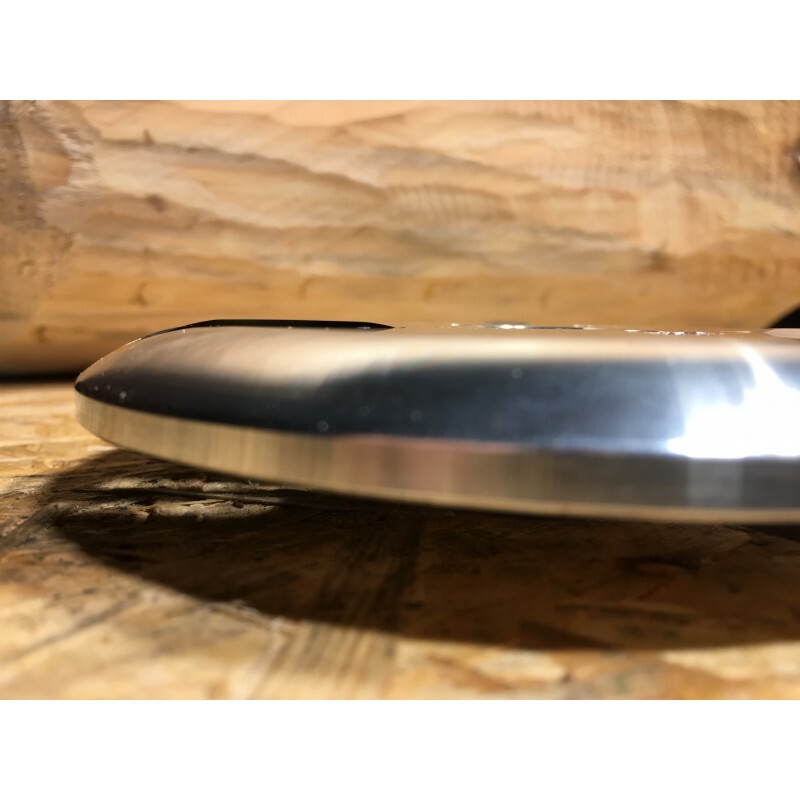 Double bevel sharpened cutting blades, which provide better processing and improve tool's cutting plate life between sharpening times. 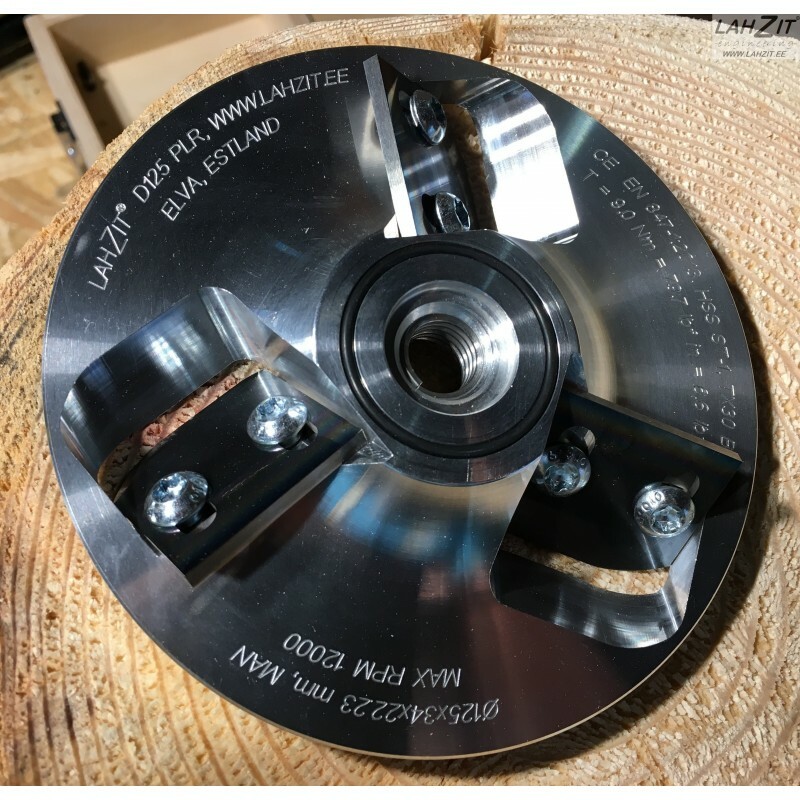 Cutting blades can be adjusted according to peeling process requirements - the thicker bark of log requires to adjust larger cutting depth (up to 3.0 mm), the wood surface finishing needs adjustment of blades to 0.5…1.0mm. 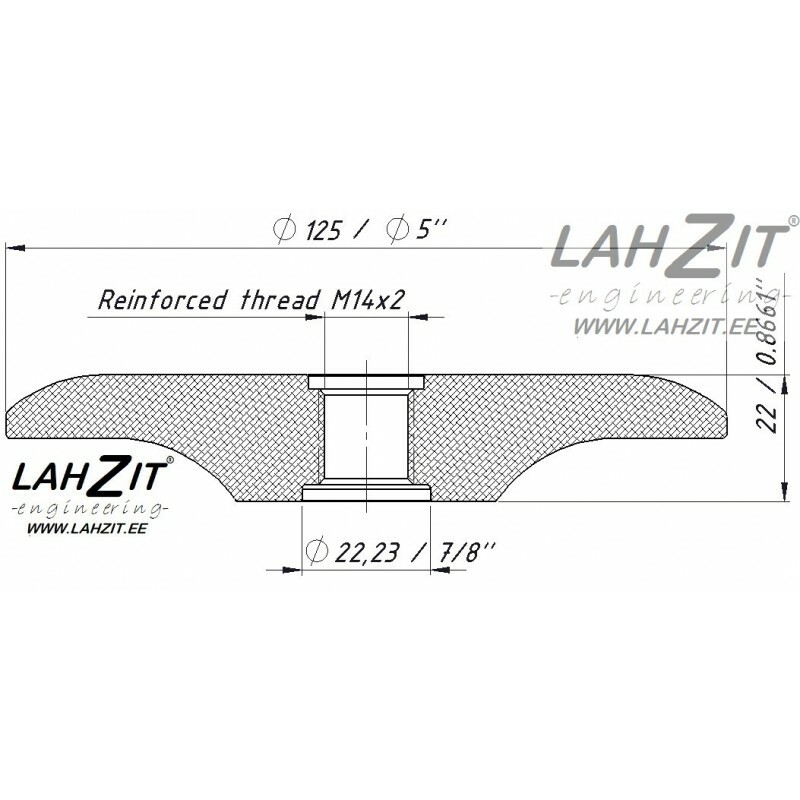 Extra reinforced disc centre with reinforced (BaerCoil® "Screw Locking" thread insert) internal thread M14x2. 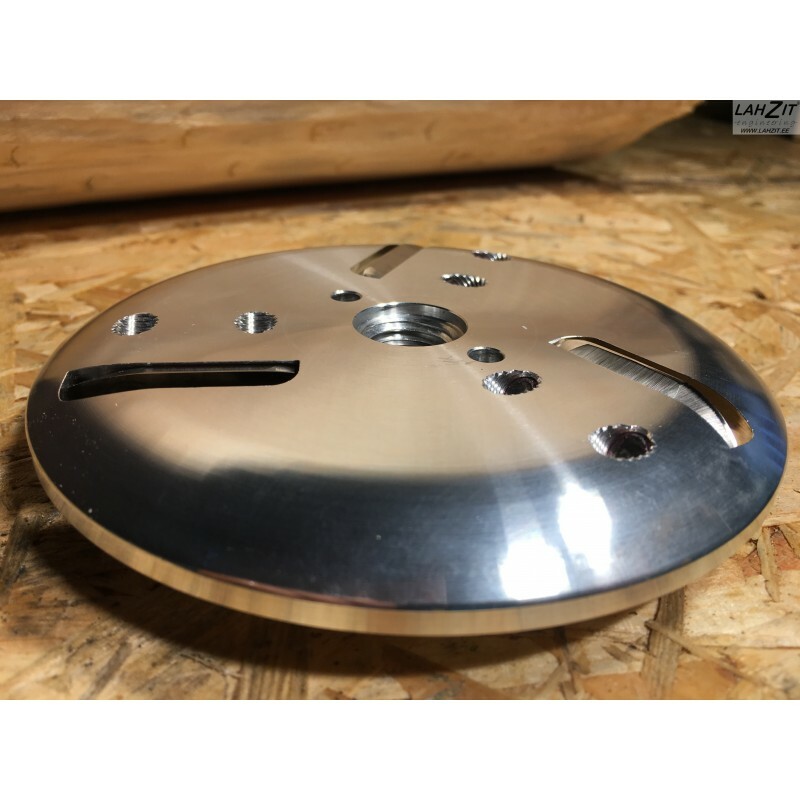 Disc flange made from tempered industrial aluminium alloy. 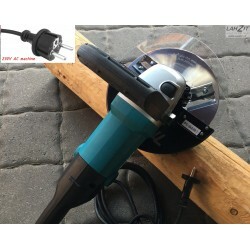 Tool outer diameter is 125 mm (5'') and it works perfectly together with common angle grinder's protective guard. 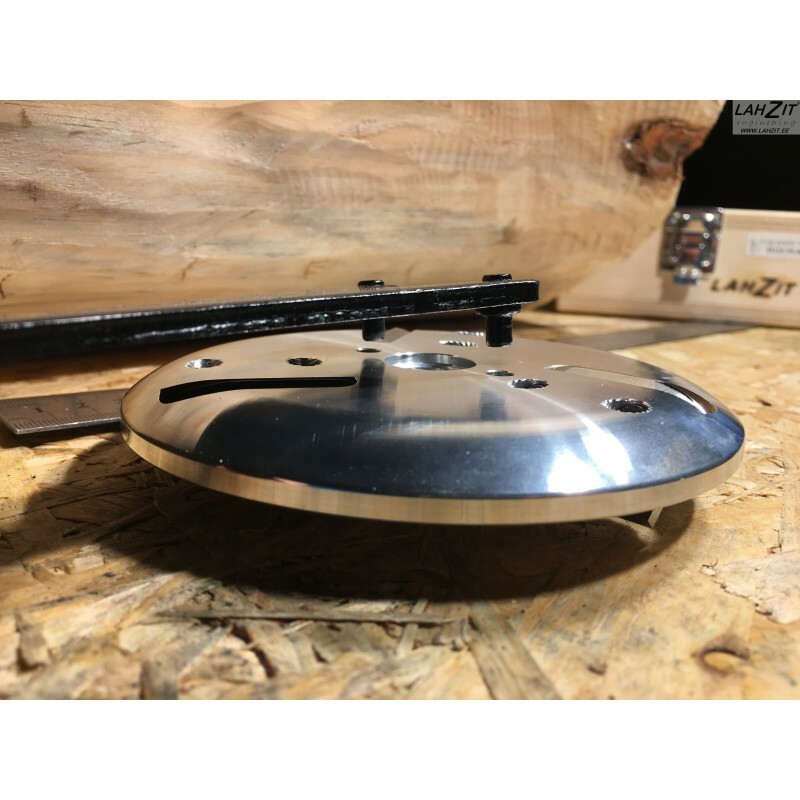 Cutting blades bolted connections are secured by BaerCoil® screw locking helical inserts with durable 10.9 M6 torx head ISO 7380 bolts. 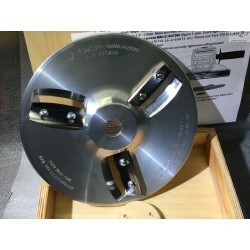 Log peeler tool weighs only 0.4 kg (0.882 lbs), total product shipping weighs 1.0 kg (2.2 lbs). 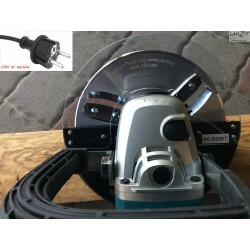 Angle grinder’s rated power must be at least 0.7 kW, max spindle speed 12 000 min-1 (RPM). The log peeler disc mounts to the angle grinder with disc flange and tool internal mounting thread M14x2, which is common angle grinder spindle thread in European and other metric system countries.